What Is A Freeroll? - Casino Answers! Casino Answers » Poker » Poker Freerolls » What Is A Freeroll? A freeroll is a free poker tournament that offers cash or other prizes without charging any entry fees. Freerolls are usually used as a promotional device; they cost the sponsor very little money, but can attract a large number of players to a new poker room. Poker freerolls are a large part of the initial success of online poker rooms like Pokerstars. Freerolls are great for new players who want to try online poker tournaments without risking any money, or for anyone who likes playing free poker. A freeroll can give you a chance to try a new poker room before you decide to deposit any money, while still giving you the thrill of competing for a spot at the final table or even winning a poker tournament. You can find freeroll tournaments in almost any online poker room. 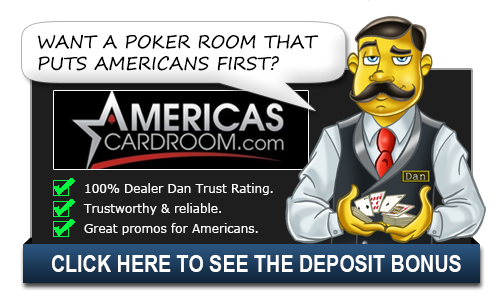 The rooms themselves offer plenty of free poker tournaments, while affiliates, forums and other groups also sponsor freerolls. Prizes can vary, but most usually offer some small cash reward, or a free entry into a larger tournament. One of the best poker rooms to play at for poker freerolls is Pokerstars. Entering a freeroll is simple. At your poker site of choice, there should be a section devoted to poker tournaments. You should be able to search by entry fee, or there may even be a tab to see just freerolls. Most free poker tournaments are open for anyone who wants to play, although there is usually a cap on the number of players allowed in each event. Also, most freerolls sponsored by affiliates or other groups are password-protected so that only invited players can participate. It’s considered inappropriate to ask for a password to a freeroll you weren’t invited to; there are plenty of free poker tournaments available to the general public. It’s important to remember that freerolls are not the same as play money tournaments. Freerolls offer prizes, while play money tournaments do not. This not only makes freerolls more lucrative, but also causes other players to play more seriously, making the event feel more like a serious poker tournament. If you are interested in learning strategies that can be used in real tournaments, freerolls are much more helpful than play money games. The prospect of playing against a large number of opponents for small prizes might not sound exciting, but freerolls have a lot of benefits for you as a poker player. Freerolls can give you valuable experience with poker tournaments that might pay off in bigger events later on. Also, some of the top online players in the world built their bankrolls starting in free poker tournaments; after winning a freeroll or two, they never had to make a deposit using their own money, and have since made millions. Whatever your reason for playing, freerolls can be a great way to start your tournament poker career. Whether you need more experience for live events, or hope to build a bankroll using the poker room’s own money, there’s no downside to playing free poker! Check out Carbon Poker for some great poker freerolls. There are a few terms that apply to both single hands and entire games and tournaments in poker and one of those is freeroll. As such, understanding what the term means in either case can be rather confusing. This is why it is necessary to define what a freeroll is in the context of a hand and a tournament so that you can apply it to both situations. A freeroll hand is essentially a situation that arises during a game when there are usually no more than two players left in a hand. Prior to the last card being dealt, a freeroll occurs when one of the remaining players is guaranteed to at least split the pot regardless of what the final cards are. The player in question may be dealt a card that can win the hand for them with the final card but either way they will win at least half of the pot. This commonly occurs in high low games. However, skilled players that recognise the freeroll can use it to raise the stakes and guarantee a bigger win against novice opponents. In relation to a tournament, a freeroll is a tournament that requires no entry fee. Although a fee may be payable at some stage in order to continue to play, the tournaments for the most part are free. Freerolls online are often free tournaments in which prizes rather than cash is on offer or where points and not pounds are required to play. What is a poker freeroll? Where can I play poker for free but win real money prizes?